What's the best attic insulation? That depends on your definition of "best". 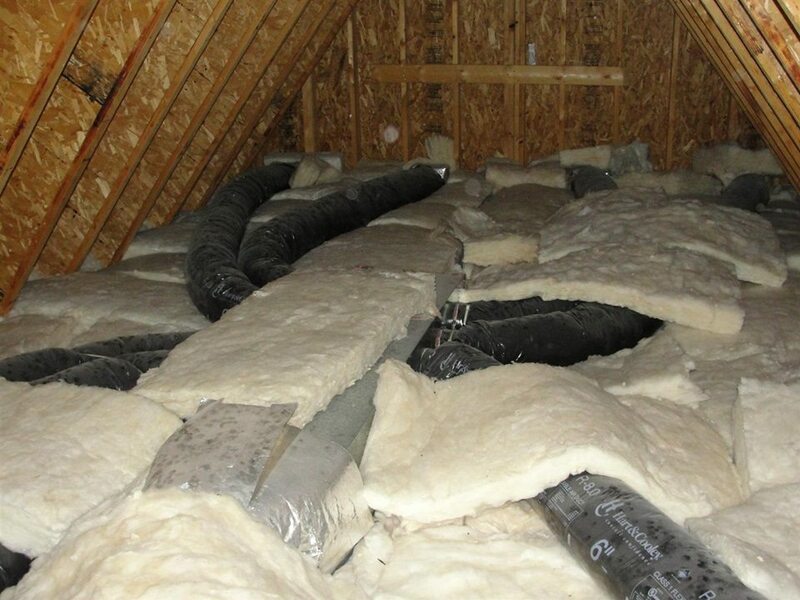 What's going to perform the best is definitely not the most cost-effective way to insulate an attic. But surely, you already knew that. And I didn't call you Shirley. 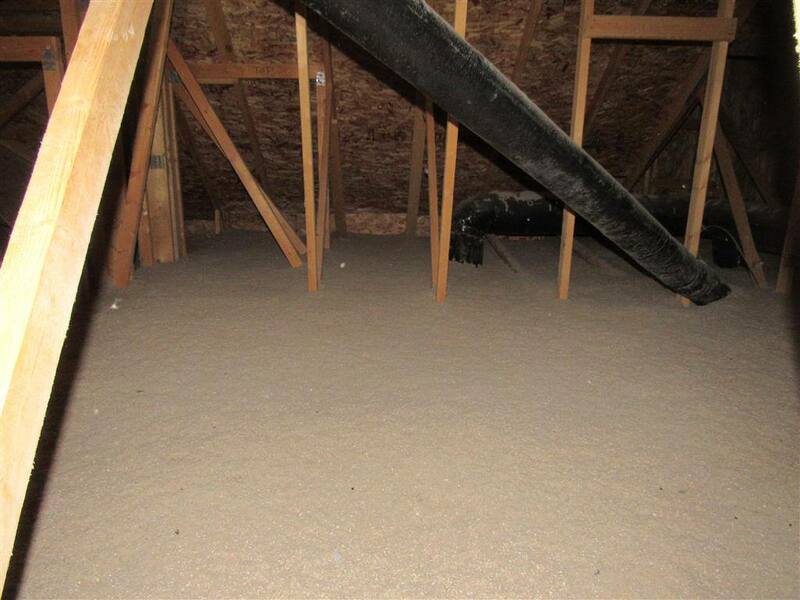 First, let's discuss the most common types of insulation available for attics; spray foam, loose-fill fiberglass, cellulose, and fiberglass batts. Those aren't the only types available, but they make up the vast majority of what's used in Minnesota attics. For the listed R-values below, this refers to the material's ability to resist the transfer of heat and is all per-inch. The higher the number, the better. The minimum R-value for a new Minnesota attic is R-49. 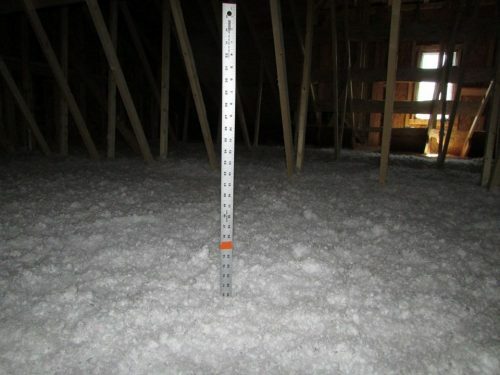 Unfortunately, the easiest way to add insulation to just about any place in your home is to install fiberglass batts. Fiberglass batts are typically the worst insulation for any job, but they're easy to pick up in the store and easy to roll out, so people use them. The image below shows an atrocious installation at a two-year-old home in an upscale neighborhood of an inner-ring suburb of the Twin Cities. Yep, this passed the city inspection. I won't even discuss R-value because fiberglass batts have no place in an attic. Just don't go there. Cellulose is made from recycled, ground-up paper with boric acid added for insect control and fire resistance. If you choose to install cellulose yourself, you can buy the insulation in bags from your local home improvement store. If you buy enough, they’ll probably let you use an insulation blower for free. Don't try to buy a single bag and spread it out by hand for spot-insulation; it's way too densely packed (ask me how I know). The DIY cellulose insulation method is very dusty, but it’ll get the job done. If you hire a pro, they’ll use wet-spray cellulose, which adds a small amount of water to the cellulose to help control the dust and to slightly increase the insulation value per inch. Cellulose has an R-value of approximately 3.5 per inch. The part that I love about cellulose is its ability to control air movement. While it doesn't actually create an air barrier, it's dense enough to stop most air movement to help control frost in attics. Not completely, of course, but it does a pretty good job. The same cannot be said for fiberglass. If you check with the Cellulose Insulation Manufacturers Association, they'll assure you that cellulose is definitely your best choice for insulation. This seems to be all that's ever used in new-construction homes and has an R-value of approximately 2.5 per inch. Like cellulose, you need a big machine to blow it in. You can't simply buy it in bags and spread it around yourself. My biggest complaint with fiberglass is that it's itchy and it's a lung irritant. I've found that older fiberglass is way worse on your skin and lungs than the newer stuff, however. I have no scientific evidence to back this up, but I don't need any. I'm completely sure of this based on personal experience. Side note: I wouldn't dream of doing any type of insulation work without wearing a respirator. Heck, I won't even enter an attic without one. There was a widely publicized study conducted by Oak Ridge Laboratories in 1991 that said that loose fill fiberglass insulation lost a lot of its insulation value once temperatures dropped below 20 degrees, making loose fill fiberglass an inferior product when compared to cellulose. I contacted Andre Omer Desjarlais at Oak Ridge Laboratories about this issue, and he said: “This was true 20 years ago but all fiberglass manufacturers have changed their products appreciably since then and this is simply no longer an issue.” I also contacted several insulation manufacturers about this, and they said the same thing and sent me some great information, which I posted on my website many years ago; click any of these links to read the documents from Certainteed, Johns Manville, or Owens Corning. Loose fill fiberglass insulation will still experience convection, but not nearly as much as old fiberglass used to. If you check with the North American Insulation Manufacturers Association, they'll assure you that fiberglass or mineral wool is definitely your best choice for insulation. From a performance standpoint, the best type of insulation is spray foam. There are two types; closed-cell and open-cell, aka 2-lb and ½-lb, respectively. They have insulation values of approximately R-6.5 and R-3.6 per inch, respectively. When installed properly, both types of insulation will fill all of the nooks and crannies and make for a perfect air barrier. When air can't move through it, you have zero heat transfer through convection. Oh, and by the way, Icynene® is a brand name of open cell foam. With closed-cell foam, you also get a moisture barrier at over 2" thick. 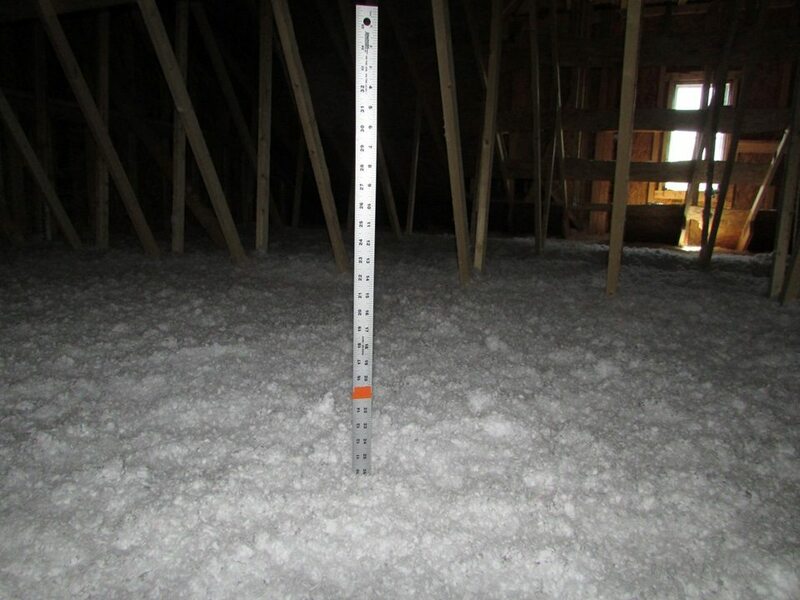 Because of this and the higher insulating value per inch, most foam insulation used in Minnesota is closed-cell. To tell the difference between the two, try poking it with your finger. You can easily poke a hole in open cell foam, but not closed-cell foam. That stuff is way too hard. The big downside to either type of spray foam insulation is the cost. It's expensive stuff, and it shouldn't be installed by the DIYer. Of course, that's not to say it can't be done, it just shouldn't be done. Professionals already have a hard enough time getting it right. 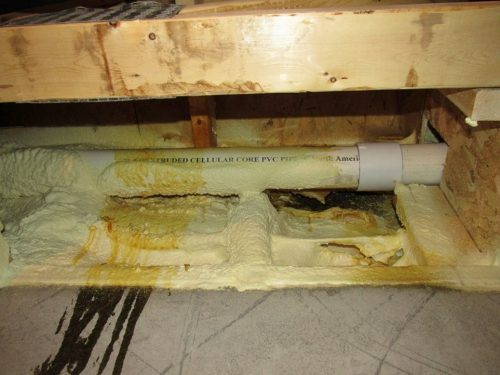 Check out this article for more on that topic: Avoiding Problems With Spray Foam. The image below shows a botched spray foam installation at the rim joist of a new-construction home that I inspected. A concern with spray foam insulation is the off-gassing of toxic poisons. I'm no expert on that matter, so I won't discuss. Just be aware that it's a concern, and do your own research. After conducting my own research, I concluded that I was comfortable putting it in my own home. So now that I've covered the products, the next part of this discussion is what to do with them. I'll discuss that next week.